Many beaches along the Lykian Coast in Turkey are used for nesting by the Loggerhead Sea Turtle (Caretta caretta). 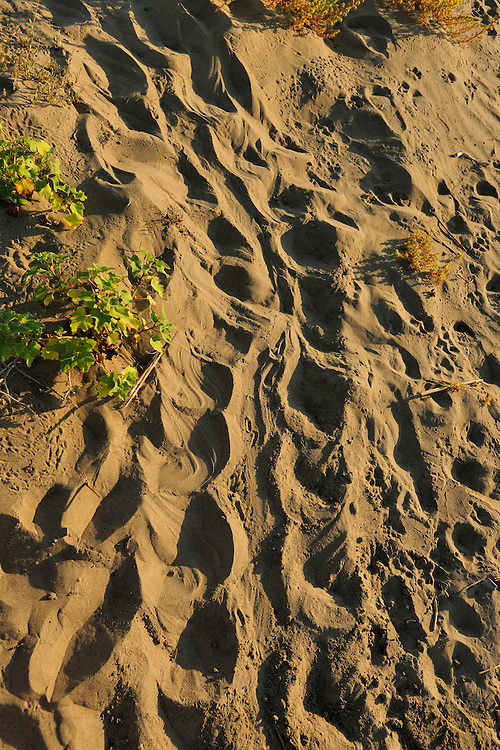 The big tracks left on the beach bear witness to the nocturnal visit of an egg-bearing female. Solvin Zankl / Wild Wonders of Europe.+46-8-583 518 31.info@wild-wonders.com.www.wild-wonders.com.